Random Collectible Bicycle of the Week - Yo! Venice! Up for sale on Ebay is a 1938 Prewar Sears Elgin Twin. 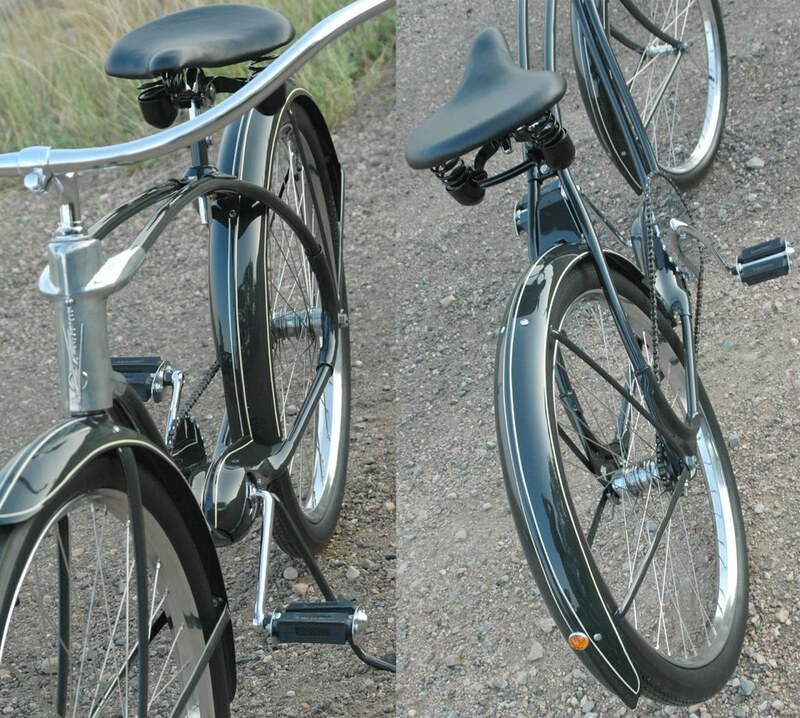 The bicycle has been repainted and chromed and is in show and ride condition. 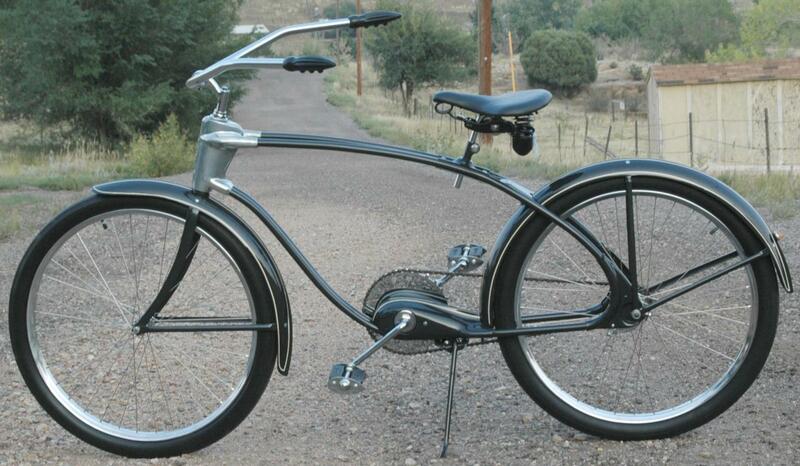 Asking is $2,700 with $200 for shipping, but bicycles don’t get much nicer than this! Style for miles! 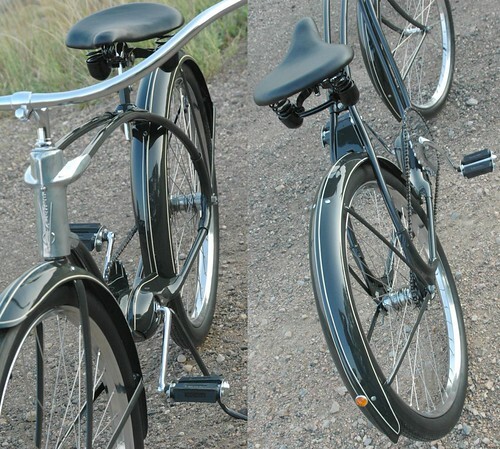 1938 Gunmetal Gray Elgin Twin 20 Ballooner Bicycle. Twin bar bikes were by Murray of Ohio and Sold by the Sears Department stores from 1938-1942, Pre World War 2. 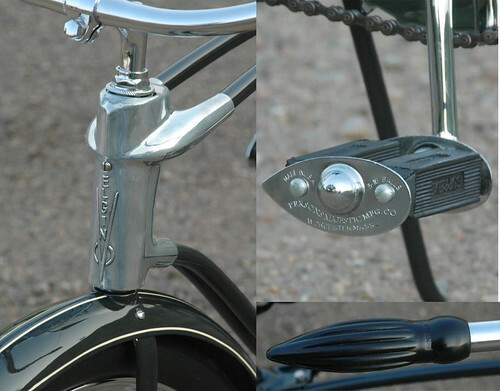 This Bike was cutting edge at its time, with an design that boasted the design similarities of a suspension bridge. Elgin Twinbars are very unique, highly sought after by collectors, and one of my personal favorite antique bikes. Twin Bars have a unique frame that has no seat tube, the incredible head shroud with logo on the head tube, the unique tear drop pod around the bottom bracket, finned air cooled hubs, and raised ridge gothic fenders. 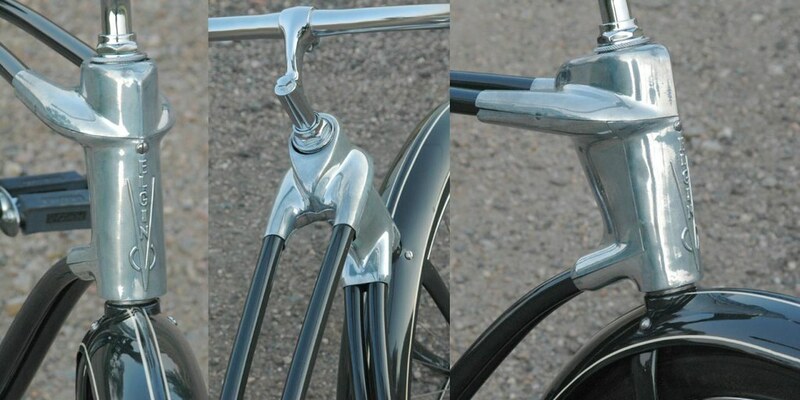 Incredible design and quality like a Schwinn. 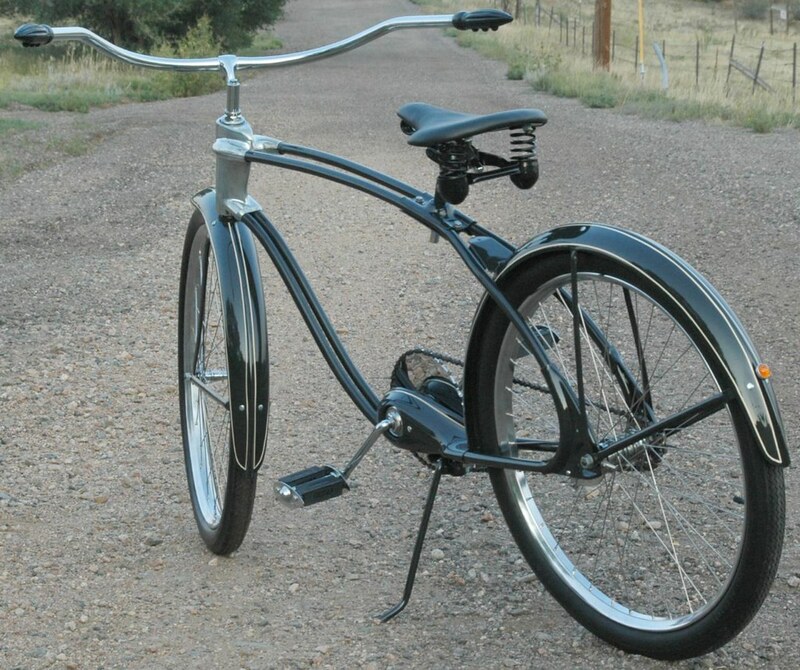 Definitely one of the coolest antique bikes, and in my opinion, Twinbars give classic Schwinn bicycles a run for their money.